Tyler was more than helpful and really took care of me when it came to quickly getting into my vehicle, as I was moving in 2 weeks. He never pressured me and was constantly there when I had a question. Even 3 months after the purchase, Tyler has responded to every text since I pulled out of the dealership and answered any questions or concerns I had. Incredible guy to work with and will definitely take care of you. Best dealer experience I've ever had! I purchased my 2009 Hyundai Sonata in 2010. I was a bit hesitant about the purchase but I scored a really good deal and it had a great warrantee. Looking back, it was one of the best decisions I have made. 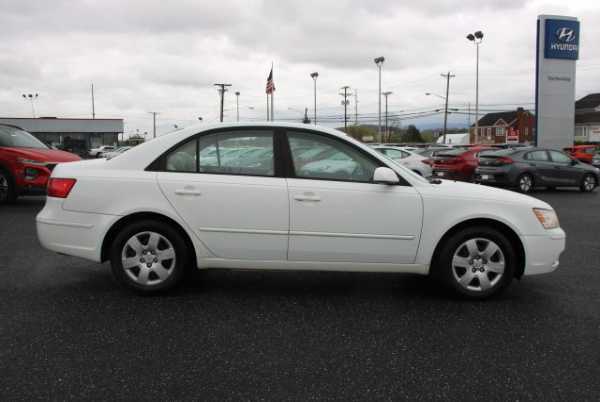 I'm currently in the market for a new vehicle because my sonata was involved in a car accident. But I've put over 70k miles on the car without hardly any mechanical issues. I had an issue with the power steering pump around 40k but that was it. Besides breaks rotors and fluid changes, I have not had any other mechanical issues with the car. 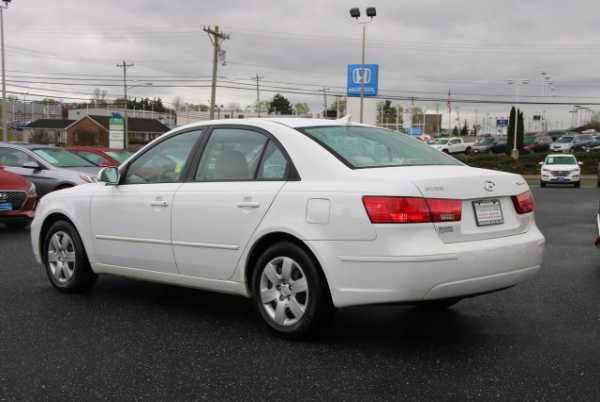 I would recommend this vehicle to anyone in the market for a good used car. It was just as dependable in 100 degree weather or 20 below with a foot of snow on the ground. I hope I am as lucky moving forward to find such a reliable and dependable vehicle. I previously owned a Chevy Cavalier. It was a cute, comfy, cheap car, but everything in the world went wrong with it and it was only three years old when I bought it. My 2009 Hyundai Sonata was purchased in 2013. I owned it for three years before it was wrecked in an accident. In those three years I never had to do anything other than oil change, wiper blade change, and new tires--all normal stuff. It ran perfectly and gave me no real trouble. Although it is a little too wide near the sideview mirror level, it is extremely spacious. I could sleep comfortably in the trunk or backseat if needed. It is super reliable. The one time the check engine light came on it turned out my gas cap was off. I love this car. It broke my heart when it was wrecked. But, even in that, it was a good car. A car clipped me while speeding. He was coming down the hill at a good speed and did not even brake. He smacked into the front/side of the car, and the car jerked but did not spin. The front was all smashed, but the damage was only about a foot in, and everything moved about a foot to the left from the side swipe. The rest of the car was fine. I could still drive it the few blocks home. The insurer just considered it a "total loss" because the cost of repairing it exceeded the retail value of the car. That is the main drawback. I don't know why, since it is a very good car, but it has very poor resale value (about $7,000 at just 7 years old). I owe more than the car is worth. I would highly recommend this car to anyone--but would recommend bargaining down to the Kelley Blue Book value, which is much less than what most dealers sell it for, to make sure you don't end up with a big gap to cover if the car goes kaput. Or, at least factor in the cost of gap insurance, which is really important if you get this car. I love Sonatas. This is my second one and it has been great overall! Pros: * This car is a work horse and a good cruiser. * Fuel economy is outstanding! I've gotten 40 mpg on the highway many times, during non-stop driving and doing between 70-75 mph. * The satellite radio is a great option, you can listen to your favorite station anywhere! Otherwise the CD/flash-drive (USB) is another good option. * Other than routine maintenance performed at the dealership, this car is solid. * Love the stability control! Some cons: * The driver's seat is uncomfortable. It is narrow and lacks support, however, on long trips, you do tend to settle in and forget about it. * The 4 cylinder engine, while effective for, is somewhat under-powered. When the car is loaded for those long, summer trips, or with the a/c running, it can easily lose up to 20hp and you'll notice it when attempting to merge onto a highway. I should have opted for the 6 cylinder version instead. * Tires are very important! Do not go cheap on them and always get the original or better. You will be thankful, especially when it rains as the car tends to lose grip upon accelerating from a stop or going around corners. * I wish navigation was available when I bought it. Bought this car in 2009 as a dealer demo with 5000 miles on it. Now 2/26/2016 has 55,000 miles and still drives and smells like a new car. Only problems I have had are the rear brakes, which I fixed myself with new calipers and rotors. Got tired of Hyundai denying the design defect and their refusal to fix under bumper to bumper coverage. The car is well designed, tight and as others have written the V-6 and transmission is fast. Pickup is faster than my 2006 Mustang GT. This is one the nicest cars I have ever owned and I have had Lincolns and Cadillacs. It isn't a plush ride but it is soft for a small car. Staying away from the Dealers and doing maintenance and repairs myself. Doing a brake job takes 30 minutes a wheel and changing the oil is just as fast. I just refuse to pay the Dealer $59 to have a $9 Cabin filter (another 15 min.) replaced. AUGUST 2016-UPDATE: Front speakers became intermittant. Always thought there were only two sound systems in the 2009 but found out I have a third..one with an external amplifier in the trunk passenger side wall.It is not an Infinity System. Repair price $275, replacement from Hyundai $550, bought a Rockford Fosgate 4 channel for $200 and cut the old one out . Didnt realize how bad the Hyundai System sounded . Everything working fine now. Car is still performing well although shift patterns sometimes get strange . 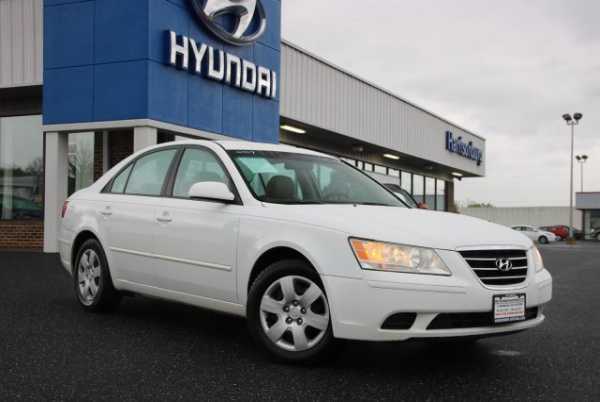 This is a midsize sedan with a lot of bang for the buck, for a 2009 sedan, safety features were standard, ESC, ABS, Anti skid included, all hwalpful and 6 airbags which were often optional on others that only included 4 at the time. The stereo radio included sirrius free for 1 year, six great speakers, and controls for bass/treble/fader/side, andone more I forget at thistime, but the sound is crisp,esp with sirrius and cd's , and wav's. I always feel safe with the safety featurs included. After 6 1/2 yrs ofownership I now have several things to have looked at, the up/down button for the driv window/ the tps light/ and possible brake inspection. The dealer in New Castle DE is great but after moving south 50 miles, the dealer in DOVER DE I would NOT recomend at all ! They often ignore you in service desk area, and act as if you are bothering them ! I bought my 09 sonata used with 70k miles and have had no issues up to 96k miles during my ownership. It's reliability gives me the greatest sense of relief. For what it is, with its smaller v6, it really likes to show off if you let it. With good summer tires, and traction control off and in sport mode while manually shifting, on takeoff tires are almost garunteed to spin a little, very vocal. You can also get tires to spin in motion if you drop into first under 20 and hit it. No it's not a performance car. But I have beat Mustangs, G35s, TL, Audi A4 & A6, MazdaSpeed3, and many other comparable V6s. Over 4000 rpm you can feel the valves open completely and a small surge in power. The addition of VVT was added in 09 I believe with direct injection. Gas mileage is great for all of this. And runs on regular. Most reliable vehicle, more so than the Corolla, Tacoma, Civic parked in the drive. 123,000 miles, never an issue. Picked it over the Camry & Accord because of comfort. Bought in spring of '08, but is an '09 model. Up to 37.5mpg hwy. Will definitely go Hyundai again. As of 10-28-16, the Sonata now has 123,419 miles, and I won't give it up! Runs perfectly on it's eight and one half year birthday. A couple of issues: First, the dashboard has too much glare in daylight, making it about impossible to see the speedometer with the sun beaming directly into the cockpit. Second, the dimmer rheostat doesn't dim the dash enough for nighttime driving, and as I work nights, it is a bit bothersome. Third, something new for this updated report - some rust on the driver's door, where the door skin folds over to the lower corner closest to the latch, it is crumbling, so it will be interesting to see how severe it becomes. I do wash and wax the car, regularly and it has not been driven on the salted NY winter roads. The car is now parked at our second home in Florida, so I am hoping the rust will not progress. I've also oiled that surface hoping to stop the rusting. Be prepared for frequent check engine! I bought this car a year and half ago as a second user. It had only 75K miles on it and it looked in a great condition. 5 Months after, and the check engine was on. It took me days and trial and error at the mechanic to troubleshot the issue. it wasn't the mechanic fault, it was how complicated the issue was, and the code tells more than 8 different possibilities! Now the engine light is back on again but this time is for transmission! it has only 100K miles, and the transmission specialist told me it would be at least $1800 to get it fixed! That was very unreliable for a car that is only 6 years old with 100K miles exactly on it. I wish I bought a Camry. I've owned my Sonata V6 Sport since new from March 2009 til now (Feb 2015) and there's 71,000 km on it.It's been flawless the whole time except 2 years ago I had to get the TPS replaced under warranty (a known issue that I knew about before buying this car).I've stuck to the maintenance schedule and again it's been perfect.I replaced the battery last year but having a battery last THAT long is pretty good especially when I do a lot of city/short distance driving. After researching the Sonata, I was convinced that it is was a reliable car. Oh how wrong I was. At 70000 miles the engine started to fall apart from the inside. 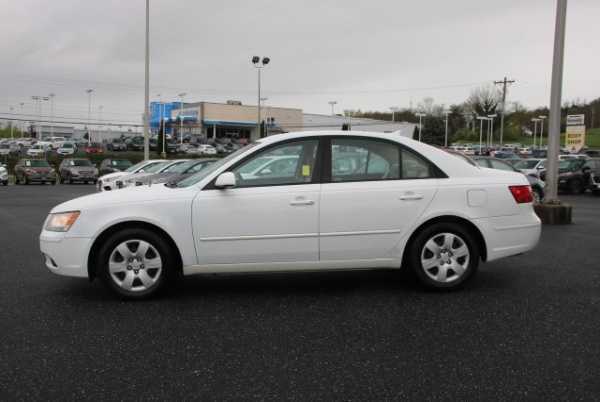 Of course I bought the car knowing that I needed a car that would get me well past the payments, and since I still owe $11,000 + I am more than upset to add over $5000 in engine replacement costs. BEWARE!!! Hyundai Manufacturer "Bumper to Bumper" Warranty Not Always Honored by Dealerships!! I bought an 09 Sonata V6 Limited in Dec of 08 and an Azera in Mar of 09. Both cars have needed repairs which I was assured by Hyundai Motors were covered by their bumper to bumper warranties, but which a local dealer, Doral Hyundai, refused to warranty, claiming owner fault rather than factory defect. They are [non-permissible content removed] extraordinaire! It is impossible to get them to fix anything under warranty; they always try to charge the vehicle owner. Hyundai has no way to make a dealer honor the factory warranty, claiming dealers are franchises and they can't make them do anything! Each dealer decides what they will or will not warranty. I had to "shop" for a dealer that would honor the warranty. I purchased my 2009 Sonata in August 2008 and am at 58,000 miles am on my 3rd transmission. My car has been in the shop 6 times since purchase, 3 times for over a week. I got a lemon! Hyundai corporate has been horrible to work with not helping the situation one bit! I had to search for a dealership that would provide a rental car without me having to pay. I have contact Hyundai with each repair and have received little to no responses. I am researching lemon law rights, but think I am out of luck unless I need one more transmission - which might happen! This is the first and last Hyundai I will purchase! I bought this car used in 2010. I replaced a bmw 535. I was impressed how the car is built. It is pretty bullet proof. It is much quieter than a Honda and rides as nice as a Toyota model. My commute takes me 130 miles over two mountain passes in Washington. I carry between 2 and 4 adults. I average 28.5 mpg. Another carpooler gets 31 with his 6 cylinder Camry. So, that disappoints. The other issue is that the weight limit on this car is about 835 lbs. 4 adult men add up to that and if you add any luggage, you are around 1000 lbs. I mention this because during one drive on an icy I-90, flat road, I could barely hold the car to the road, semi trucks passed me. The only issue I have with my 2009 Sonata is the rusting of the wheel covers. I take excellent care of my car and do not agree with the Lia Dealership that the rust is due to salt from the winters. I wash my car every week during the winter to prevent rust. Hyundai nor the dealership have a concern with this defect. Great Car! I have get 40 Miles per gallon/6.9 liters per 100 liters on the highway and 35 Highway - City mixed. Just past my second anniversary and the 50,000 Km mark. I have done only regular maintenance. I appreciate the great dealer service too. I cannot say enough positive about the car as it is still just like new. I drove a Volvo before this and the Sonata is a superior car never mind the value for dollar you get! My Sonata Limited V6 has more than 30K and I love it - I have had literally zero problems with it. I commute 30 miles each way through rainy and sometimes icy Pacific Northwest mountain passes and it is a champ. Great acceleration when I need it, excellent mpg (30 mpg highway), handles very well and it can comfortably seat four large adults. My wife and I took it on a 1,000-mile trip down Highway 1 in Washington and Oregon and it was a fun drive. Bought the Sonata almost 3 years ago and now have 55k mostly highway miles. Travel about 80 miles/day for work. The cloth seats are some of the most comfortable non leather, non premium seats I've used. Nice thoughtful interior. It has so many upgrades that have trickled down to a base car over the years. The ac and heat are fine although climate control would be nice. The XM is a feature that I use regularly and enjoy. I have done nothing to it except regular maintenance and a new set of tires. I average about 30 mpg going 70-75 on the highway. After owning an Elantra for 125k miles with no issues (until it met a guardrail), we moved up in class and picked up the Sonata Limited V6. So far, it's been an excellent choice. Our MPG has ranged from 33 on a highway trip with 100% fuel, to 23 that was mostly suburban traffic with E10 winter blend. I think that's a fair number considering the engine displacement and size of the vehicle. I commute 80 round-trip to work and average 32 mpg in hilly terrain. No problems so far. This car is very comfortable, roomy, and quiet. 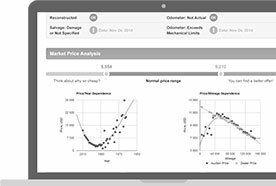 I looked at comparable Toyota, Kia, Nissan and Chevrolet products and none compared to Hyundai. I rarely write review, but I have to write one for Hyundai. The warranty is not as it advertised. I bought it as brand new and after 3 months the AC is not working. So I took the dealer and they said a rock had hit my car and damaged the air condition function. I have been driving other cars for the past 20 years with different brands. I cannot believe the Hyundai's product is so fragile. So today, I bring my car to another Hyundai dealership, they still cannot warrant it. I asked why other cars that I had driven for years that I never seen or heard this type of problem. They said, its Hyundai's design. I do a lot of researches when I buy car, but I will never buy a Hyundai again! This is my 4th Hyundai, all great cars. The 09 has 45,000 miles now with absolutely no problems. The 4 cylinder engine has all the performance any normal driver could want. Gas mileage is excellent 44 mpg (imperial gallon) on highway trips. Very well equipped for such an inexpensive car. Move over Toyota! Considered and then bought this car on advice from car-nut friend who reads all the magazines, etc. I dive a lot and have been very happy with the car. No problems at all. All in all this is a very decent car. It is roomy and comfortable. Satellite radio and sun roof for a very affordable price. The gas mileage with the 4- cylinder is great and performance is at least adequate. The road noise is louder than I would wish, and there is a big THUMP when you slow down as it shifts into first gear, especially when you first start it, at first I thought the brakes were catching, it is such a sudden phenomenon. I love the warranty, but having said that, quality-wise, it doesn't compare to my previous Toyota or Lexus, but then, it didn't cost nearly as much as my Camry or Lexus. 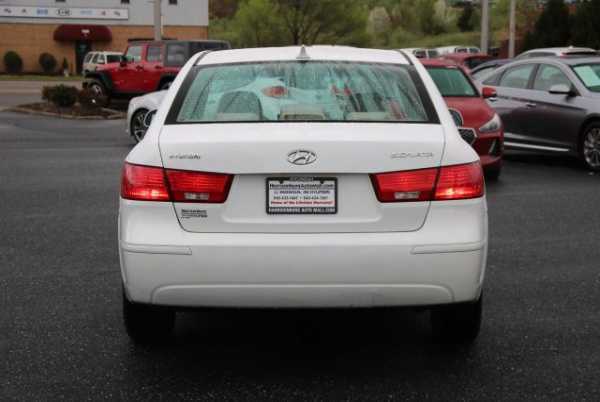 After having BMW for years, I got very tired of the very expensive up-keep ($1000 every time you visit the mechanic, and $125 oil change) I decided to buy Hyundai, man what a great decision the car is everything you expect from a car that size plus some. 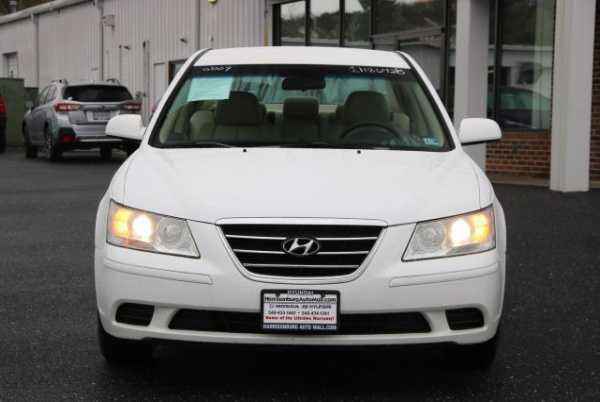 My wife dumped the awful 2009 Camry and now I can not get her out of this Hyundai, it is quite comfortable on a long trip the gps is very user friendly, the dealer is extremely nice. In short I would recommend this car to my mother over in garbage that Toyota is dishing out. The GPS update is $199.99 per yr, I will buy a TomTom Portable GPS with lifetime Free Map Updates. Second Problem on the Hwy wind noise is too laud as if we had our windows open, poor construction. Acceleration very week, transmission problem but the dealer can't find the problem. Corporate office won't even help they will refer you to the local dealers where they continued to fail finding the problem. Good looking car but Construction & Customer Service is very poor. I have had my 2009 Sonata Limited for about 10 months now and could not be happier. There was an irritating rattle in the driver's side window that the dealership took a couple of tries to fix but other than that I have no complaints. The V6 gives good acceleration when needed and the handling, while not sportscar-esque, is smooth and pleasant. Excellent brakes. I commute every day about 30 miles each way through some mountain passes in Northwest Washington, which can get dicey in the winter. Or for the rest of the year it is raining. The Sonata is a good inclement weather car, at least for these parts. I have averaged a solid 30 mpg highway miles and 25-27 in town. Very solid, reliable car. I have now tested the car for about 10,000 miles and I'm really happy with my sonata. The mileage is awesome: 2 adults, one kid, one trunk full of heavy stuff and I managed to get 33 mpg on highway, between Sacramento and Los Angeles. Same combination between San Diego and Phoenix with a/c on and I got 33.3 mpg. Two adults, 2 hours of stop-and-go in la traffic (rush hour) and a/c on and I got 32.8 mpg. No mechanical problems so far, between 30k-40k miles. XM satellite radio is a must on long trips. I really miss the steering wheel controls for radio/mp3/XM and electrical controls for drivers seat. Other than that plenty of room for a 6' driver and 6.2' behind the driver. No kidding, that good. Safe, Great Car, did I mention Safe? The best car for the dollars, bar none. I had it for two months and then was rear ended by a full size Chevy pickup. Yes, I had some damage but the active headrest moved forward for both my wife and I and despite the impact from the speed of the Chevy we were FINE. I drive this car 96 miles per day and it is economical, reliable, comfortable and, did I mention, safe. Room for my 6+ ft sons in the back. GM has lost me to Hyundai, the only thing I don't like is that mine looks dowdy next to the new ones, very sharp. I have owned dozens of cars in my life and this is the very best for the money spent..a great value. My throttle has stuck on multiple occasions. Dealership has no idea of cause. I have eliminated cruise control and floor mat possibilities. The automatic transmission occasionally drops down two gears at a time causing a sudden deceleration and alarming thump when letting of gas and gently applying brakes. other than this, it is the best car I have ever owned. Incredible gas mileage when using cruise control and gasoline without ethanol. (31 mpg) from a 260 hp v6. Handles like a sports car. rides like a caddy. Bought Dealership loaner car with 4.5K miles to be used as Daily Driver. I had my eye on a Sonata since they changed the body style, but never made the jump until the interior upgrade. Hyundai has come a *long* way in 10 years - major kudos! Fit and finish is first class for the price and the warranty is amazing - this is a company that actively sought to make a car to pounce on Toyota and Honda buyers and succeeded. V6 rated at 'only' 249 HP, but if you think you need more in a FWD car...you probably shouldn't be looking for a FWD car! If someone told me in 2000 I would one day choose to buy a Hyundai, I'd have laughed. Now though, I'm glad I did - major props for an *excellent* product! A solid performer. 14,000 miles and no real problems. Have experienced same minor issues mentioned by other owners such as squeaky dash/window and unusual/rough gear changing with auto transmission. Handling is a little loose and suspension is a little rough and noisy. Random feature on infinity sound system has an irritating software flaw that causes it to play the same songs over and over again. On the positive side system sounds great. For the price paid, this is a great car to drive for comfort and reliability thus far. I bought the car in January 2009 (should have waited a month due to tax breaks but oh well) and now have 18,500 on the car. I am averaging 26 MPG with city driving and am consistently in the lower 30s MPG with highway driving. The only problems I have with car are the cruise control (sometimes unresponsive), the paint (flaking away on the hood and the front grill) and the instrument panel lighting which seems to flicker often and cannot be fixed since Hyundai service personnel cannot replicate the problem. This is our 3rd Sonata and each one is better than the last. It is the best dollar for dollar value on the road, delivering power and comfort whether in the mountains or on the interstate. The dealer service is consistent, thorough, and priced competitively. Any minor issues have been satisfactorily corrected. Steering is tight and responsive with good road feel, acceleration is strong, leather seats are comfortable but firm and secure. Really like the tire pressure monitor gauge. 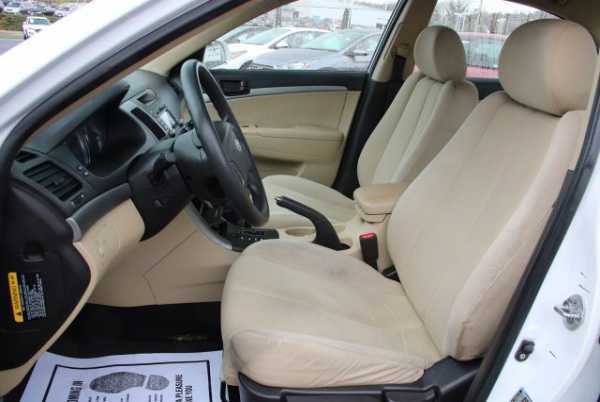 Everyone who has ridden in the car is surprised by its interior space, styling, and comfort. And we still have the 05, a friend is now driving the 01. Good Buy, Looses Value. Boring. General: Boring, reliable, comfortable, good initial value, horrible resale value. OK if you plan to keep forever, lousy if you intend to trade or sell within 3 years. I was very happy with the v6 limited version up until the sunroof shattered. Driving along on the highway with no trucks or cars around, not near any underpasses, and then a great big crack and wooshing wind noise. Dealer is running away from the issue, I read other people had this problem. The car was four months old when it happened. All glass is covered with no deductible so it won't cost me anything, but there is no question that this is product defect not a stone. Overall, I really enjoy the car. The only thing is the dashboard squeak when it is cold outside. I notice when it warms up, there is no dashboard squeak. 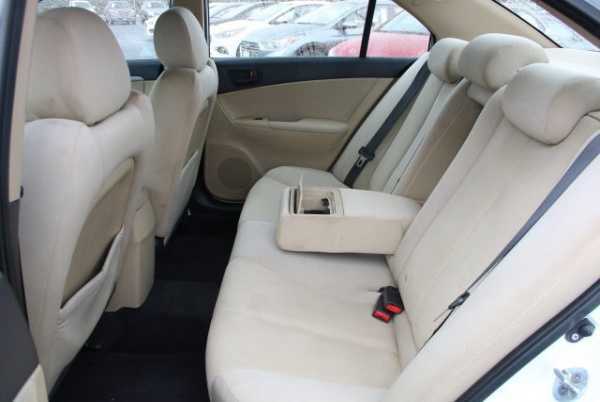 The interior of the car is nice, but the outside (besides the front) is a little plain. The 4 cylinder does not really have too much power taking off, but while on the highway, if you press down the pedal, it'll give you the power you need. This is my 3rd Sonata. I had the 2003, 2006 and now have owned the 2009 for 9 months. You can't beat the price for such a quality car. I get 33 mpg on hwy and 29 combined city/hwy. The 2009 is superior to both 2003 and 2006 for that. The ride is quiet and comfortable. The oil filter is placed right on top of the engine, which makes it easy to replace... A brilliant idea! After hours and hours of research, I finally drove a Hyundai. I was a little afraid of Korean auto makers because of previous cheap quality, but the Sonata reviews have been pretty favorable since 2007. I love the feel of the ride: comfort, handling, the whole thing. It drives like a more expensive auto and I'm loving the satellite radio. Dash lights are pleasant and easy to read, positioning of the fuel and trunk release buttons is brilliant. Lumbar support works well for my 5'2" frame and the 100,000 mile bumper to bumper warranty doesn't hurt. Definitely impressed so far. A good value but at what price? 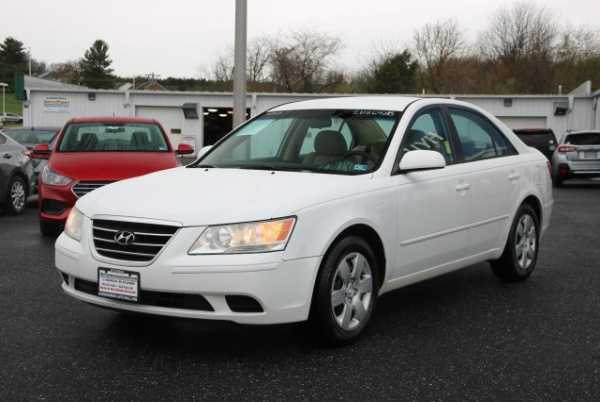 Overall, my 2009 Sonata GLS has been a dependable car for a very good price. I, like many others, have the dash/windshield creaking problem. This did not fully develop until around one year of ownership. The noise is present with every movement of the car (light acceleration, braking, undulation) not just over speed bumps or potholes. Call me OCD but it is so annoying, that I am about to dump the car at a loss. The dealer did try to fix the problem by re-seating the windshield but the noise is even worse after their "fix". If you can live with sub-par build quality and rattles, then the Sonata is a good deal. I am going back to a REAL foreign car like Honda or Toyota! Purchased my Sonata in May 2009. After careful research, (Edmunds very helpful). To date, I have but one puzzling issue with this vehicle. 5spd auto-transmission seems to "search" for proper gearing while operating. Notice from other owners of this model vehicle finding the same incidence involving transmission. This aside, all else with this vehicle is quite acceptable. Cheers! 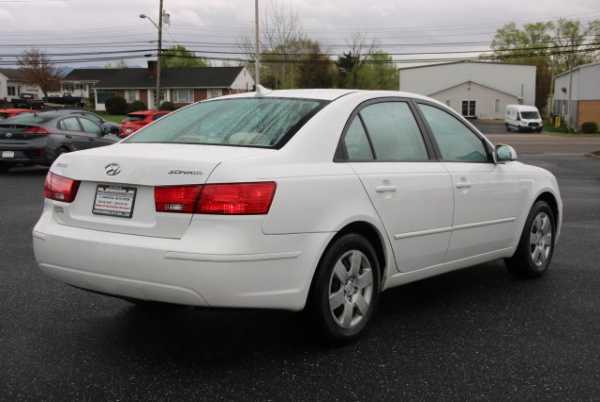 After owning Camarys in the past looked at the Sonata because of price and consumer rating. Overall the car is OK. Smooth braking to a complete stop is impossible. Transmission seems to jump out of gear at times. With just about 9000 miles, my Sonata is running with no problems. The fuel economy has been as expected (I usually average 28 mpg per tank). Although some say its a "Lexus-like" ride, I'd say that's a bit of a stretch. The interior (especially the center console) looks great and the amount of standard features really won me over. The 4-cylinder engine does run a bit rough on cold days but usually is docile unless its really pushed. The transmission does tend to upshift quickly on the automatic (I believe in order to give better fuel economy). So far I don't hear any rattles in my car. I hope to keep the Sonata for a long time, especially because of the great warranty. Traded in a '07 Corolla. Wanted more car and was doing a 67 mile round trip commute. Needed good mpg and Hyundai delivers the same mpg as the Corolla did. We recently have had back-to- back blizzards in MD and my Sonata never let me down. No need for AWD or Four WD with the Sonata having FWD and traction control coupled with Triptronic auto transmission. I love the car. Car is luxurious in GLS trim.